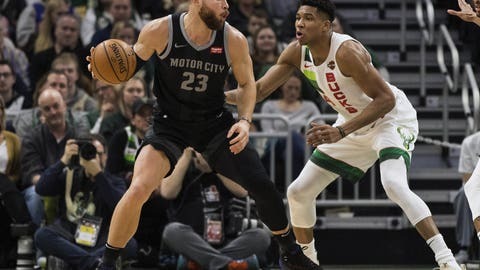 AUBURN HILLS, Mich. — Detroit Pistons coach Dwane Casey says star forward Blake Griffin is still day to day heading into the postseason. The NBA playoffs start Saturday, but Detroit opens its series against top-seeded Milwaukee on Sunday night. The extra rest was a bit of a break for the Pistons, who also get two days off before Games 2 and 3. Griffin, who has been dealing with a troublesome left knee, did not play in the regular-season finale Wednesday when Detroit wrapped up a playoff spot by winning at New York.